Almost all sports stadiums are loud by design. This can of course be fun and exciting, but poses a threat to our hearing. According to an article by Healthy Hearing noise levels in sports stadiums have been measured at up to 140 dB, while any noise over 85 dB can be damaging. 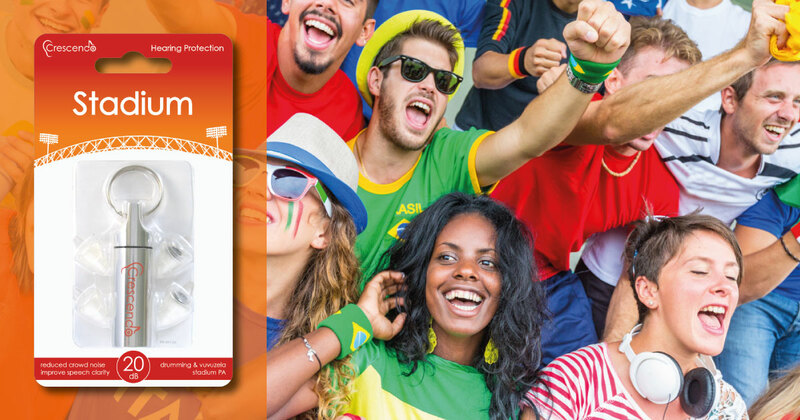 Crescendo recommends to always wear hearing protection during sporting events and thus specially designed the Crescendo Stadium, using noise filters with an advanced technology membrane from Dynamic Ear Company. The filters reduce noise to save levels, providing full frequency attenuation and making speech easier to understand. This entry was posted by Sales Dynamic Ear in Hearing Loss, News & Announcements, Situational.